America starts the day with America in the Morning, Westwood One’s award-winning radio news magazine. 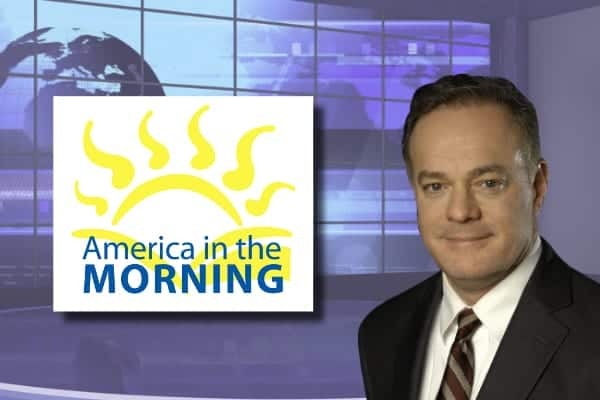 Program host John Trout offers up-to-the-minute news reporting from around the country and across the globe, with the latest overnight developments in breaking news, politics, entertainment, sports, business and weather, delivered first thing in the morning. Trout, a seasoned radio and television broadcaster, has worked in a wide-range of capacities within the radio industry, including on-air host, newscaster, sales manager, and program director. He’s a two time recipient of the Achievement in Radio award. Trout is a graduate of the Mississippi State University Broadcast Meteorology Program and has worked as a television meteorologist at WLFI-TV in Lafayette, Indiana and WBOC-TV in Salisbury, Maryland. During his tenure at WBOC-TV, he also hosted the popular “Proud to Serve” segment, a nightly news feature utilizing the station’s helicopter, “Chopper 16,” to highlight the unique charm and history of area communities.